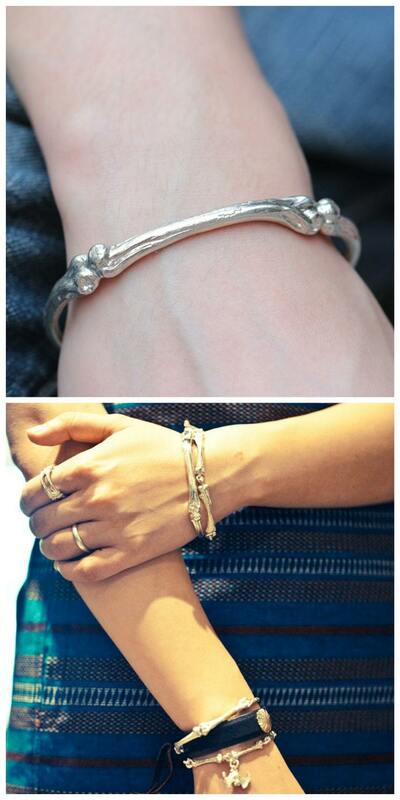 The skeleton bangle is a set of 3 silver bones, joined end-to-end and curving into the shape of a slim silver bangle. 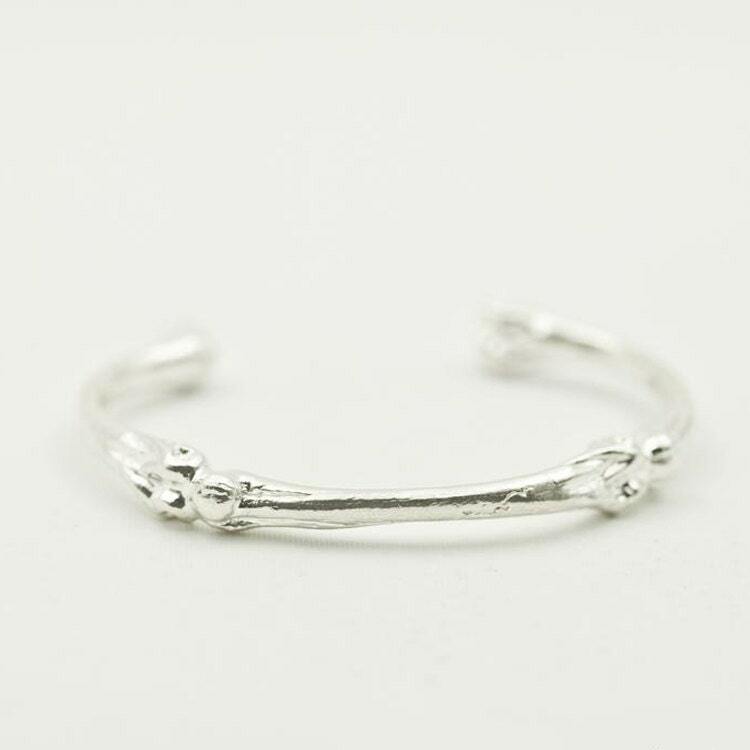 Fans of Gothic jewelry and morbid jewelry will particularly like this silver bone bangle. 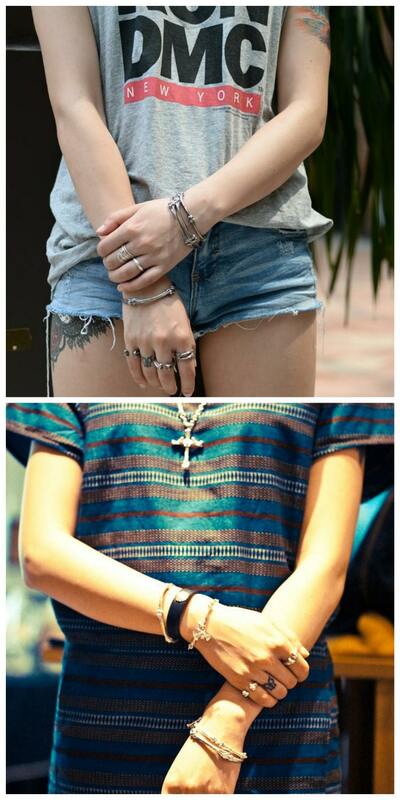 It can be worn as statement bracelet, or a you can build it up as a stacking bangle or a layering bangle as well. 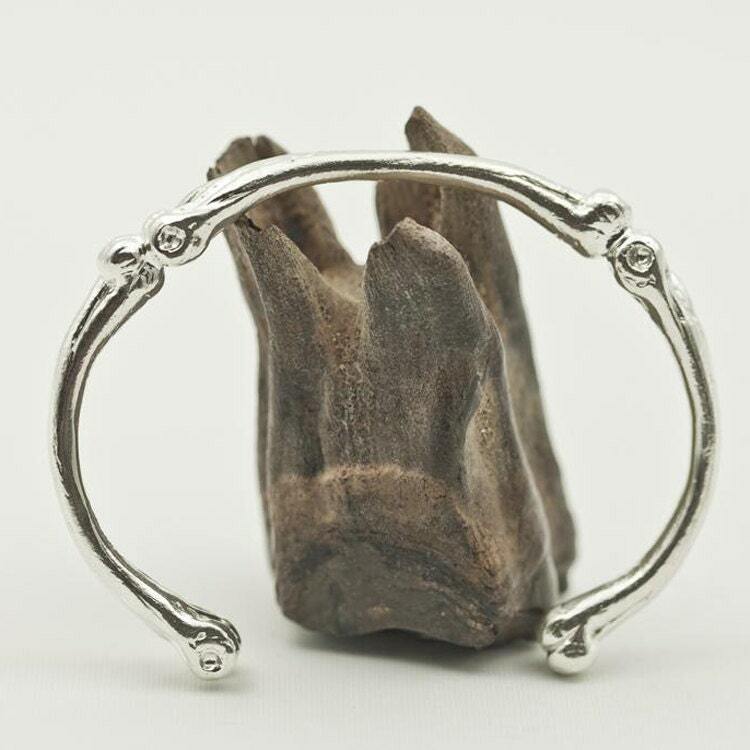 The Gothic bangle forms a part of our larger collection of silver bone bracelets, bangles, rings, and necklaces. The bangle is designed to allow you to make slight adjustments for your size. However, 925 sterling silver is quite soft, and frequent bending can cause stress at thinner parts, and even breakage in some cases. 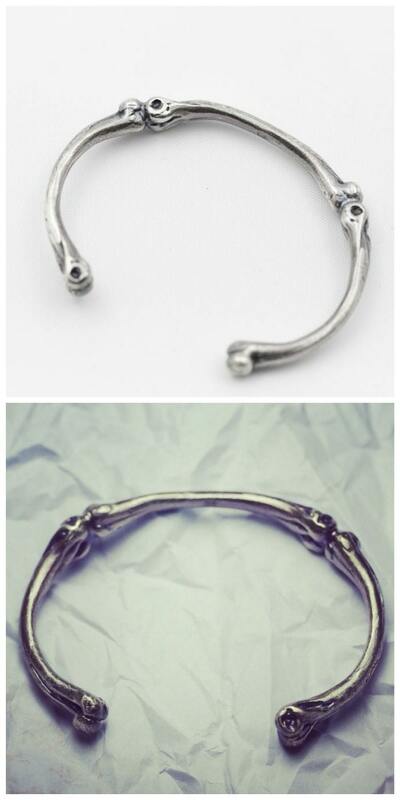 Length of Silver Bone Bangle: 14cm/5.5inch. Opening: 3cm/1.2inch. Best for wrist circumference less than 17 cm/6.7inch. The silver bone bracelet is available in two different finishes: the shiny silver finish, and the oxidized, vintage finish.